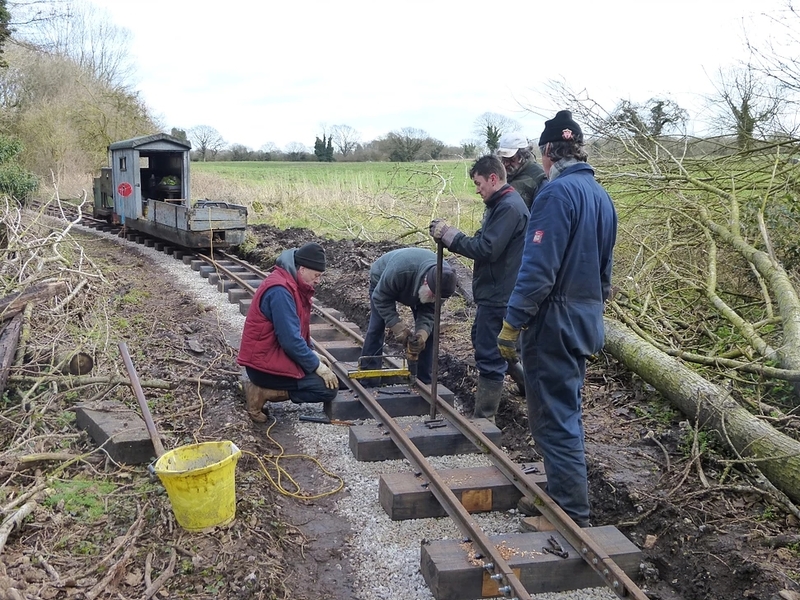 This past winter a team of hardy volunteers at Bressingham Steam Museum have spent many days relaying several hundred yards of track on the museum’s 15″ gauge line. This runs for a circuit of about 1.5 miles around fen land, fields and woods down to the infant Waveney river. The line was laid by Alan Bloom in 1973/74 and has needed some repairs after 40 years. On the southern leg of the route a section borders the old river course, which forms the Norfolk/Suffolk border. This sits in ground that gets very wet, with consequent rotting of sleepers and minor subsidence. The whole section was lifted, levelled out, ballasted and compacted and then new sleepers set down. The original rails and fishplates were able to be re-used. Some rails required straightening and the job will be finished with another layering of ballast and tamping down. A great effort was made by all concerned with some impressive results. There is always more to do however and a further section is scheduled for attention next winter. Anyone with an interest and time to spare (plus being reasonably fit!) would be more than welcome to join in. Copious cups of tea are provided! The railway is operated by a very smart 2-6-2 tank loco (St. Christopher) built by Exmoor Steam Railway and purchased from the Windmill Farm Railway. 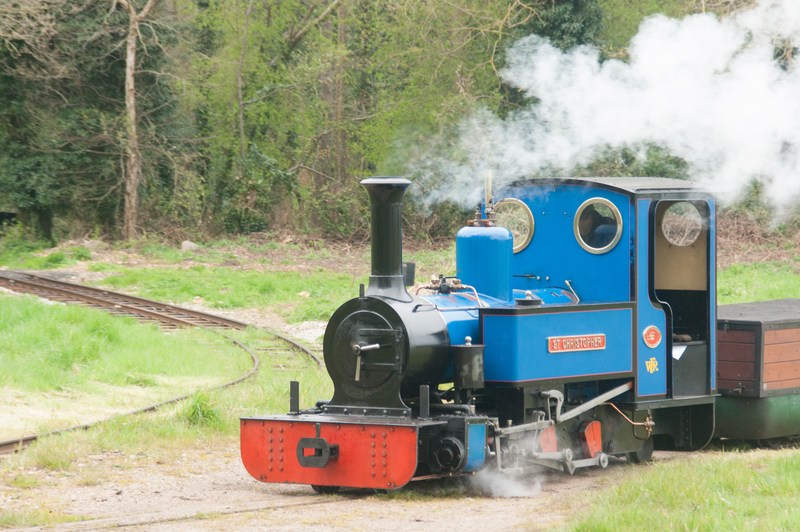 Steam driver experience courses are available on this loco by prior appointment throughout the open season.